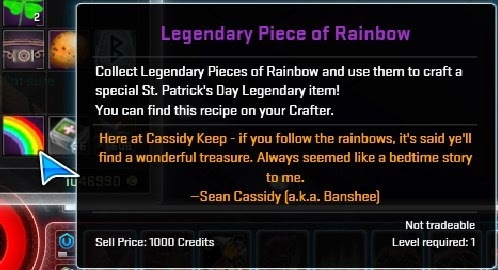 Last weekend was St Patrick's Day and like always, we had themed items to celebrate. You could craft 3 of these together to get a special Legendary.. 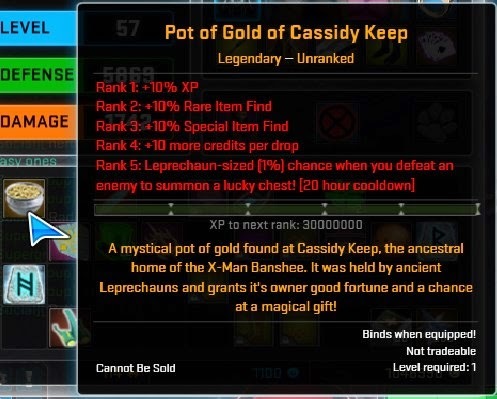 It's definitely nowhere near the other Legendaries and will not be replacing any of those, but it's a cool one to have for farming. 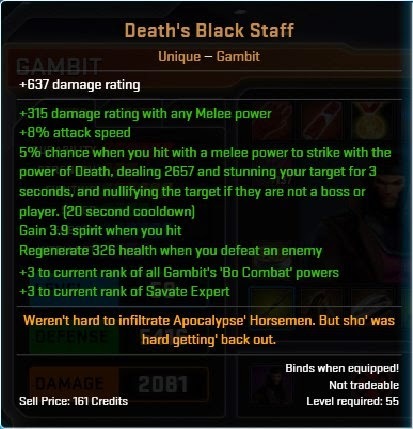 I'm thinking of sticking this with my Gambit till he has enough Odin Marks for a proper Legendary. Found the 4th of Gambit's Uniques! My build for Gambit is a hybrid of melee and ranged, with a lot more focus on his Ranged energy powers, so this might help to balance things out a bit. Just 1 more for his full set of Uniques and then I can do a review of his Power Allocation. Gambit has been really fun to play with, from the start. The recent review to his powers has also made him a lot more powerful. Actually a bit too powerful, I'm thinking that they might nerf him a little. Hopefully, not too much!